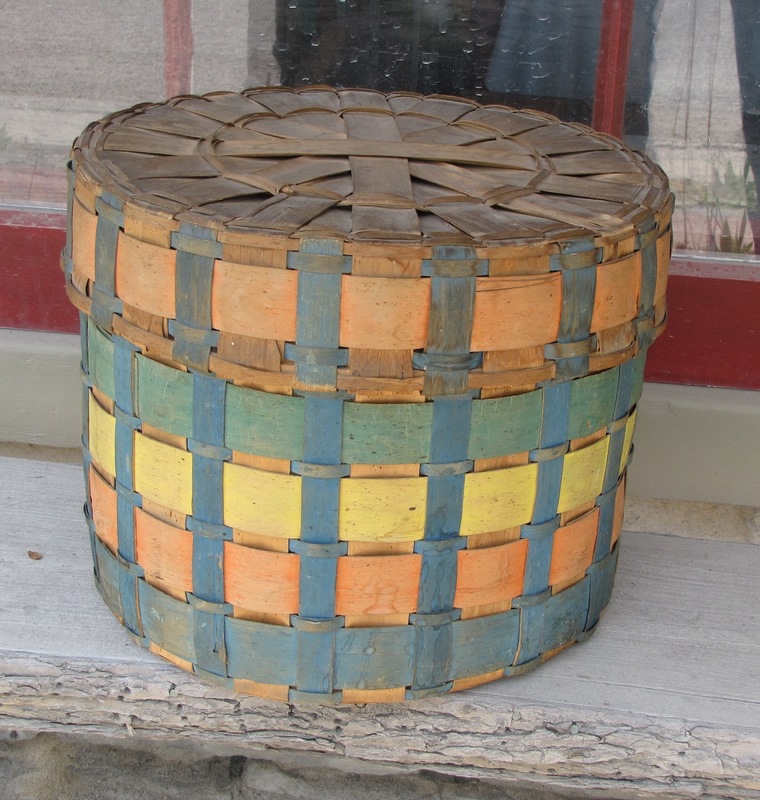 Collectivator :: A painted native basket. SOLD A Painted Native Basket. 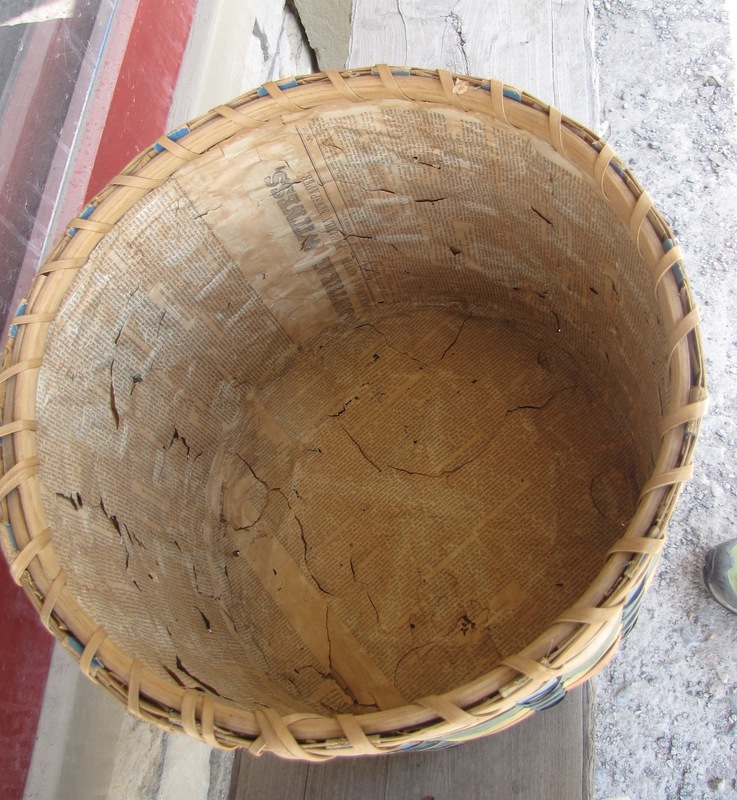 A very good native basket in paint. The colours are bold and uniformly great all around. It is in excellent condition considering the age. No breakage. 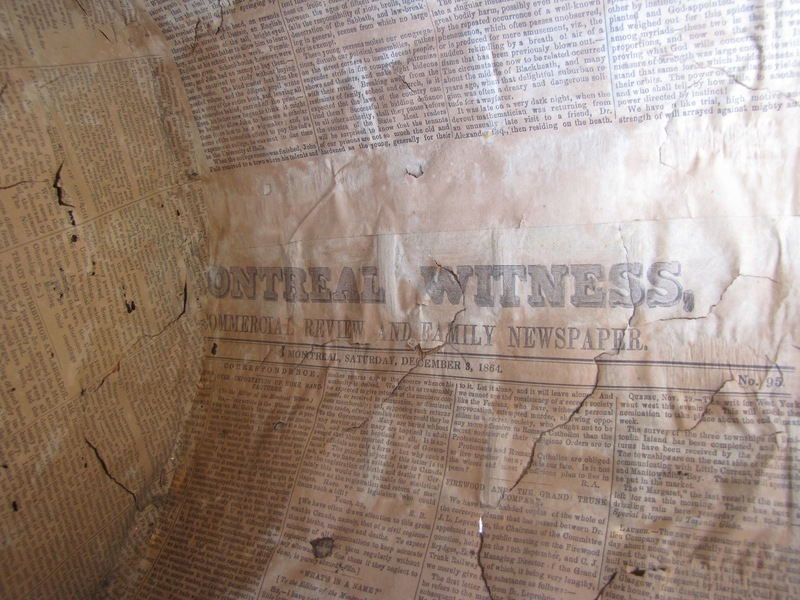 The newspaper inside is the Montreal Witness dated December 3, 1864. It appears to have been placed as a liner on making or shortly thereafter. Height 12" diameter 15".